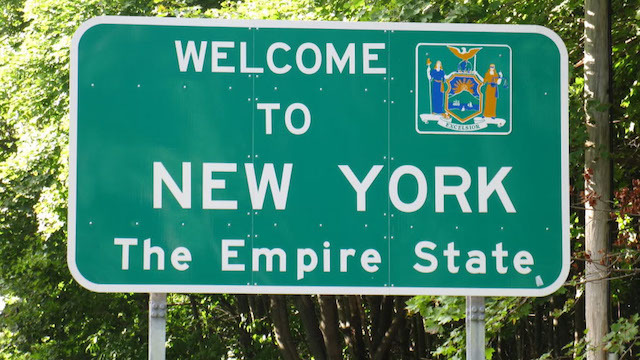 Last Friday the incoming New York Senate Racing, Gaming & Wagering Committee Chair Joe Addabbo became the new sponsor of a New York sports betting bill that was introduced by his predecessor in 2018, John Bonacic, who has retired. In a report for the Albany Times-Union, David Lombardo outlines some of the challenges ahead for this or a similar bill legalizing sports betting in New York to make it Governor Andrew Cuomo’s desk in 2019, which include the Democratic governor’s lack of enthusiasm for sports wagering. In another report filed today, Lombardo reports on Addabbo’s optimism for legalization happening. “I do think sports betting will be done in the budget,”Addabbo said. So, our panel that recently ranked New York as the state most likely to see legalization in ’19 should have some confidence in the No. 1 seed. The pro sports leagues would celebrate this bill, as written, for it includes a 0.20 “royalty” payable to the leagues merely for existing, and a mandate for sportsbooks to purchase official data from the leagues. No state legislature (nor Washington, D.C.) of the eight to legalize so far has passed a bill paying the leagues any such fee, or include such a mandate, some of them rejecting the “integrity fee” with hostility. But there are regulatory and state constitutional issues and wrinkles to iron, explored here. Perhaps the biggest issue Addabbo appears ready to solve is how to makes sure legal NY sportsbooks can offer mobile sports betting. Delaware North on Thursday launched the first mobile sports betting app in West Virginia and the Wheeling Island Hotel-Casino-Racetrack and Mardi Gras Casino & Resort near Charleston opened, as well. The openings will bring the total number of casinos with sports betting to five, including The Greenbriar Resort’s FanDuel Sportsbook, the Mountaineer Casino, Racetrack & Resort, and the Hollywood Casino at Charles Town Racetrack. Delaware North, which also owns a racetrack that will offer sports betting in Arkansas, launched BetLucky.com, available for state-wide mobile and internet sports betting. West Virginia now becomes the second state to have have launched mobile/internet sports betting. New Jersey did so over the summer, and it’s legal in Pennsylvania, but no sportsbook has yet launched online. With the openings, all five of West Virginia’s sportsbooks will be able to catch the tail end of the college football season and the NFL playoffs. 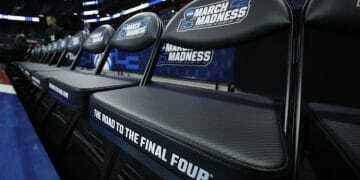 The openings were scheduled just a day before West Virginia kicked off against Syracuse at the Camping World Bowl, and two days before the College Football Playoff semifinals. It is legal in West Virginia to bet on college teams, including those within the state. In addition to the launches, DraftKings announced earlier this week that it will expand into West Virginia with the Hollywood Casino at Charles Town Races, as part of a bigger deal the company has with Penn National Gaming. Massachusetts lawmakers haven’t made a firm move toward legalizing sports betting, but when they do, they’ll have a giant on their side. MGM, which earlier this year opened in the western part of the state, is “anxious” to offer sports betting at its Springfield location, according to a report from WAMC. 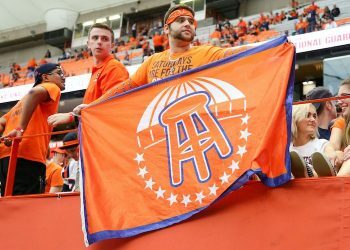 While MGM’s sports betting app/revenue in New Jersey is about fourteen lengths behind DraftKings and FanDuel, it has already partnered with three of the four major professional leagues in data-sharing deals and apparently is looking to distinguish itself as the most official or credible sportsbook choice. 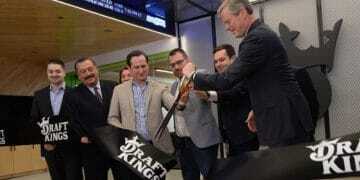 It opened its Massachusetts location in August, just three months before neighboring Rhode Island became the first New England state of launch sports betting. While it’s a bit of a drive to Springfield from Rhode Island, the city is just minutes over the Connecticut border, and that state has been seriously talking about and trying to hammer out a sports betting plan since early 2018. “That is something we plan on tackling with the legislature right after the first of the year and we’ve been doing some of the prep work for that,” MGM Springfield President Mike Mathis said. In 2018, the state gaming commission released a white paper that explores sports betting in Massachusetts and after the legislative session ended, several lawmakers said they were going to study and prepare to make a push for sports betting in 2019.